The Hailea HC chillers use the environmentally friendly refrigerant R134a and are built from a solid steel chassis with anti-corrosive pure titanium evaporator for fresh or salt water use. They HC range of Chillers from Hailea have a modern contemporary design. 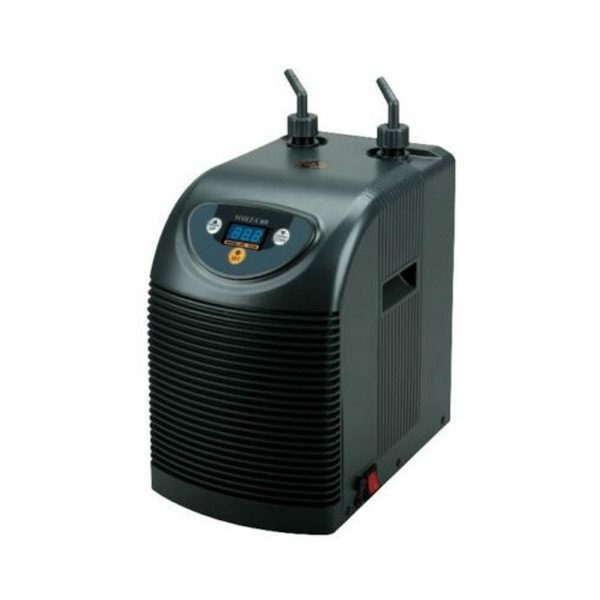 The Hailea Aquarium Chiller HC 100A is suitable for aquariums up to 100 litres in size and has a recommended flow rate of up to 100 litres per hour. Demonstrating a high quality design with superb precision, the low noise producing chiller has an accurate and highly legible digital display with clear numbering and functions for fastoperation.